Entrepreneurship is living a few years of your life like most people won’t so that you can spend the rest of your life like most people can’t. Entrepreneurship can be about having business idea but don’t know what to do at times? Entrepreneurship is about having an idea and wanting to see how it will play out. ​But you wonder…where can I get the help and support that I need? 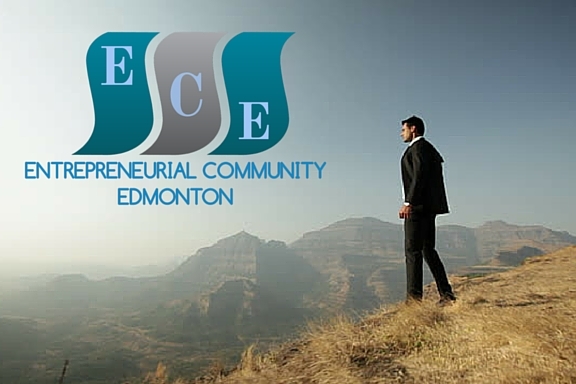 Entrepreneurial Community Edmonton #ECYEG is for you! Entrepreneurial Community Edmonton is a set of workshops which aims to help business owners/managers gain an understanding of various business topics to help them make better decisions and manage their business in a more effective manner. Sales is the lifeblood of any business. Without any sales, it is hard to be sustainable. There are 5 pieces to sales which are independent but yet intertwined at the same time. How are you positioning your company or offering? How are your packaging things together? How are you attracting clients to your offering? How are you converting that prospect into a client? Workshop Goal: The goal of this workshop is to help participants improve their sales by answering certain key questions. Note: Please bring your laptop or a note pad with a pen/pencil. If you have any marketing material, please bring it along. Brent - Brent is an avid adventurer, traveler, SCUBA diver, and runner. He is an abundant health advocate, ideal life architect, and entrepreneur. He embraces and fully lives more and more of his ideal life with each passing day. He works every day doing what he is passionate about; helping business owners create the freedom they need to have the business and life they dream of! He achieves this through his private coaching programs as well as his highly targeted and professionally facilitated mastermind groups. He has come to be on this path from his formal background of a degree in exercise science and kinesiology, his career evolution into life, health, and business coaching, as well as his 25 plus years of experience in his career and as an entrepreneur building four businesses. Copyright © 2013-2017 PU Technologies Inc. Edmonton, AB. All Rights Reserved.